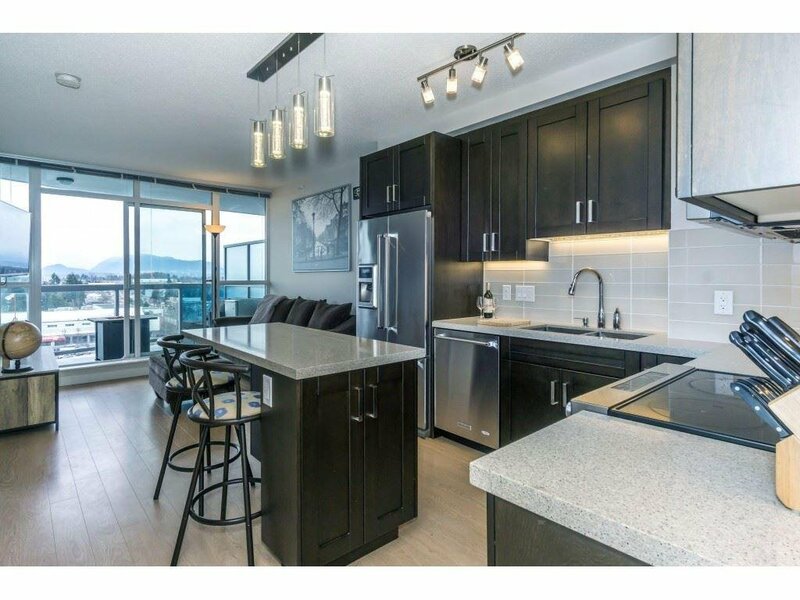 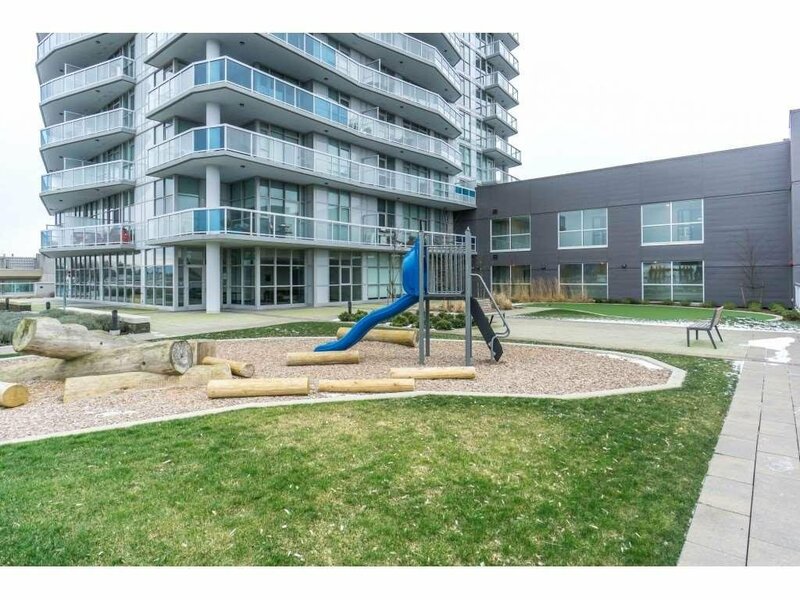 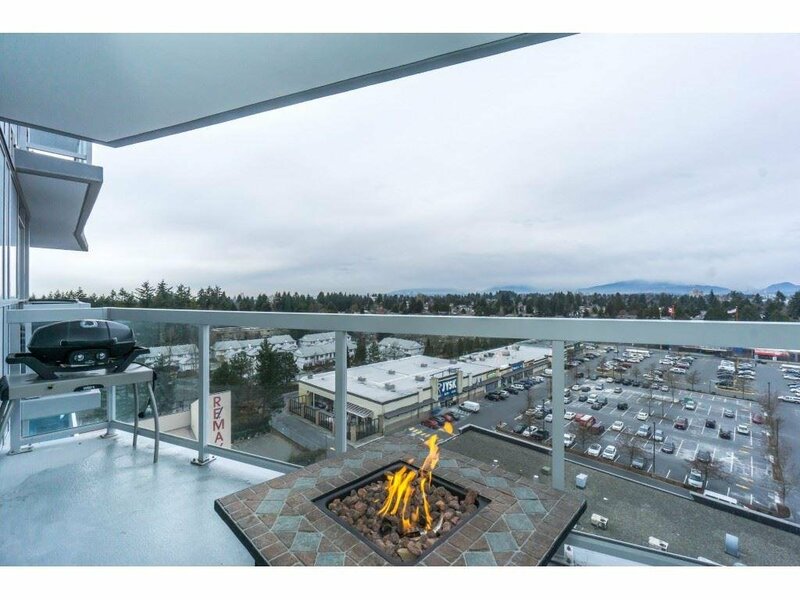 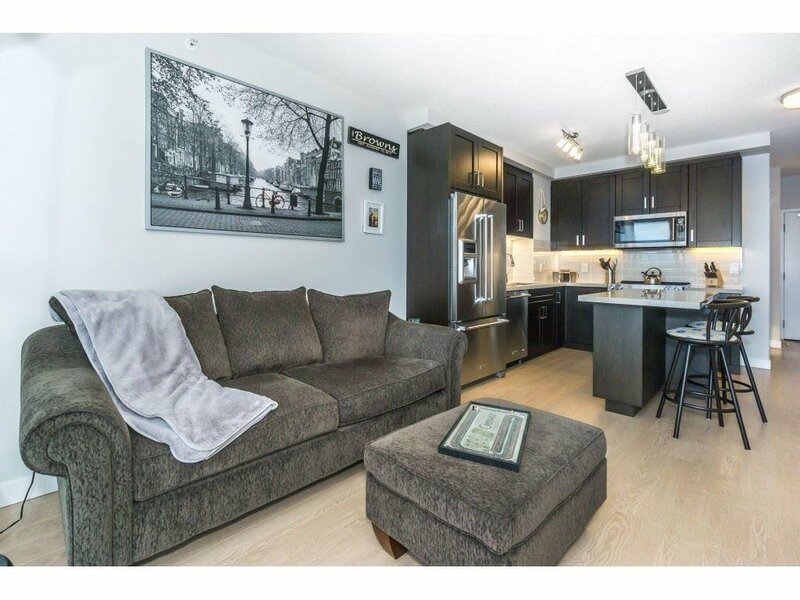 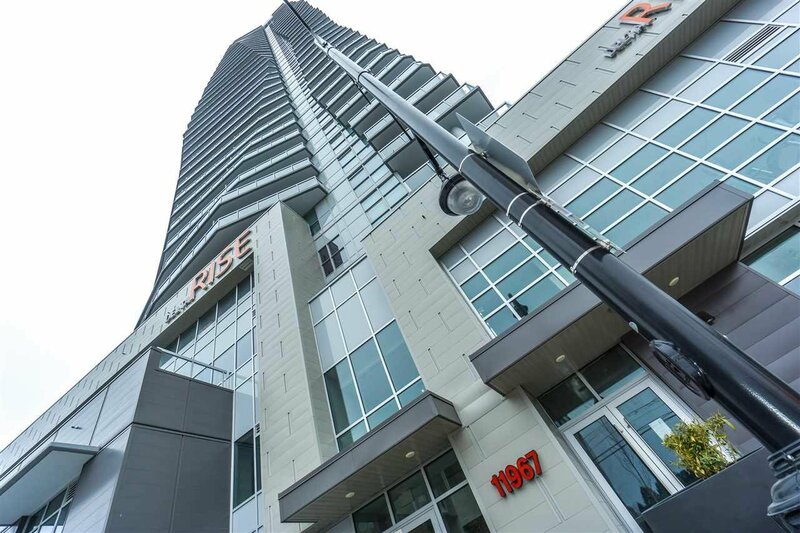 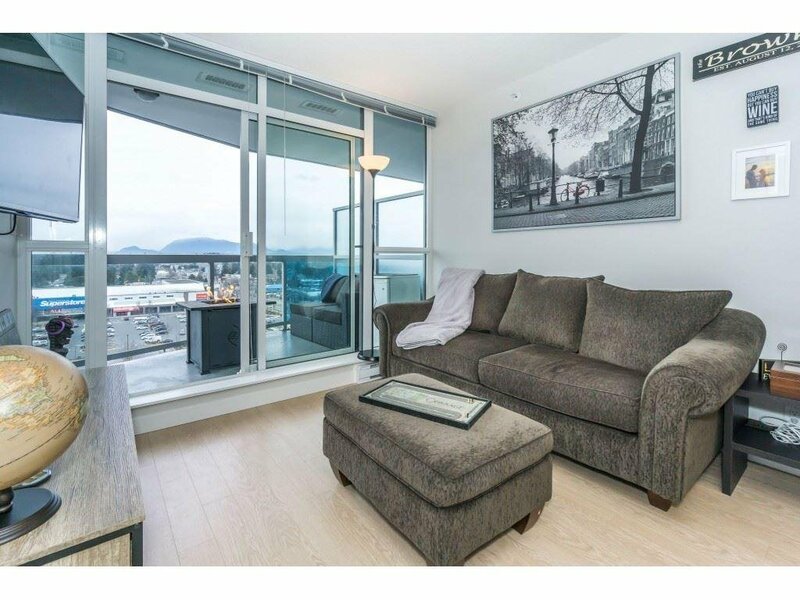 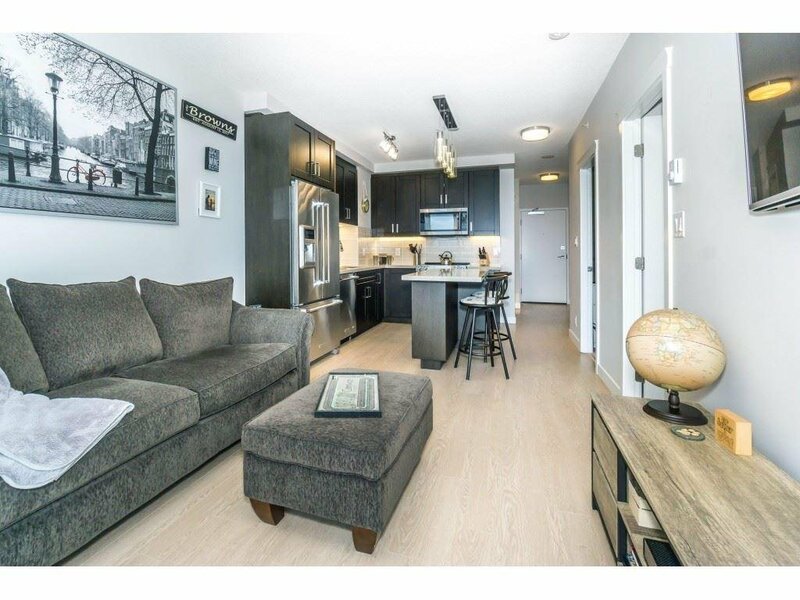 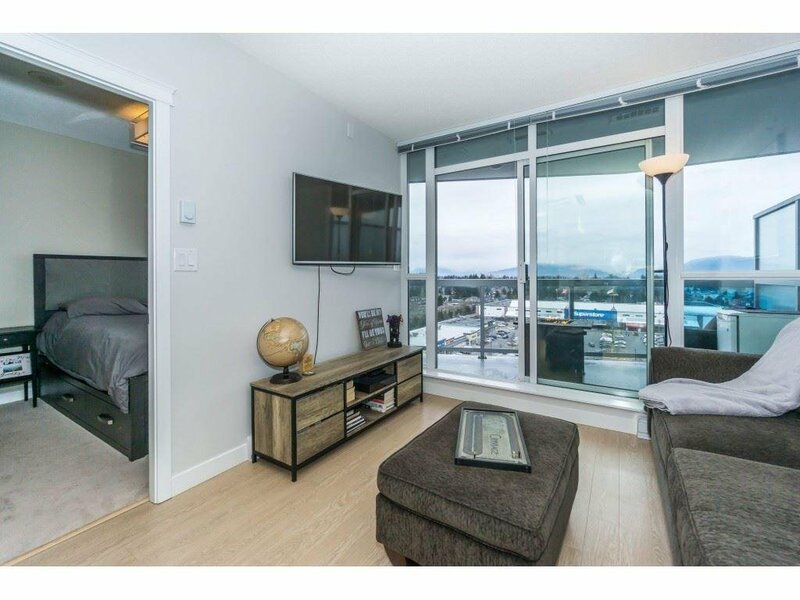 Delta Rise Presents: Live or invest in this spacious 2 bed 1 bath condo with a view! 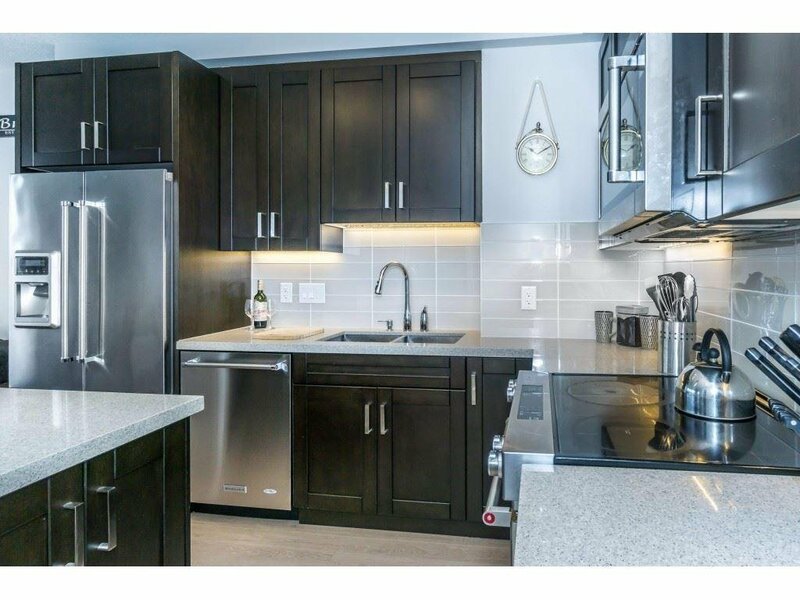 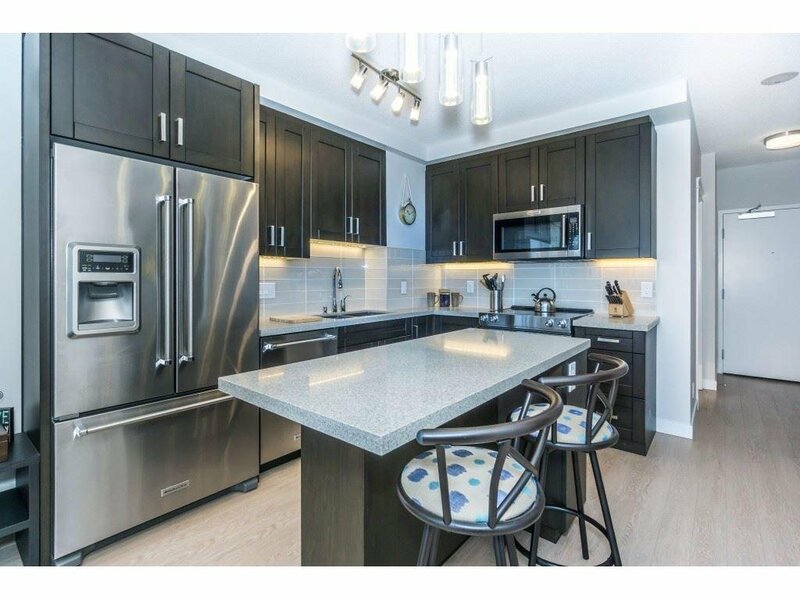 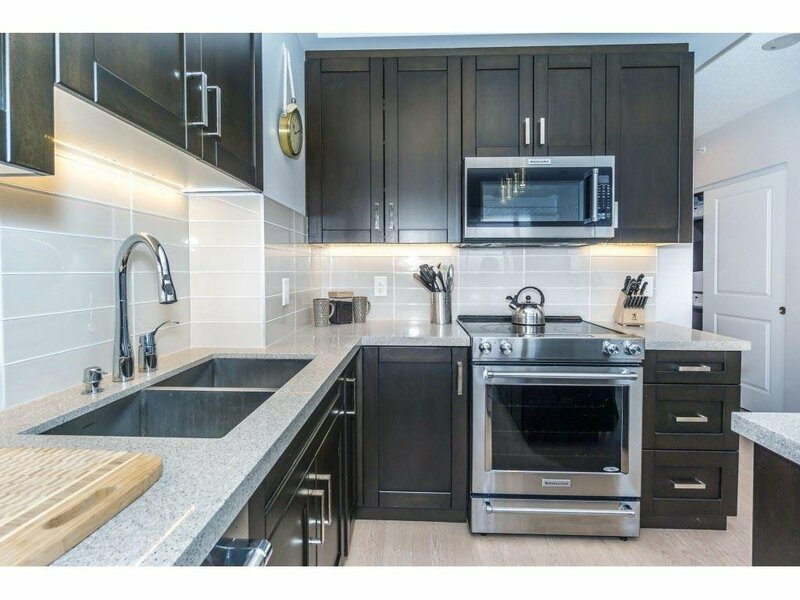 No expense spared: luxurious granite counter-tops, tall cabinets/cupboards with rich dark finishing, entertaining island with seating, and full size appliances. 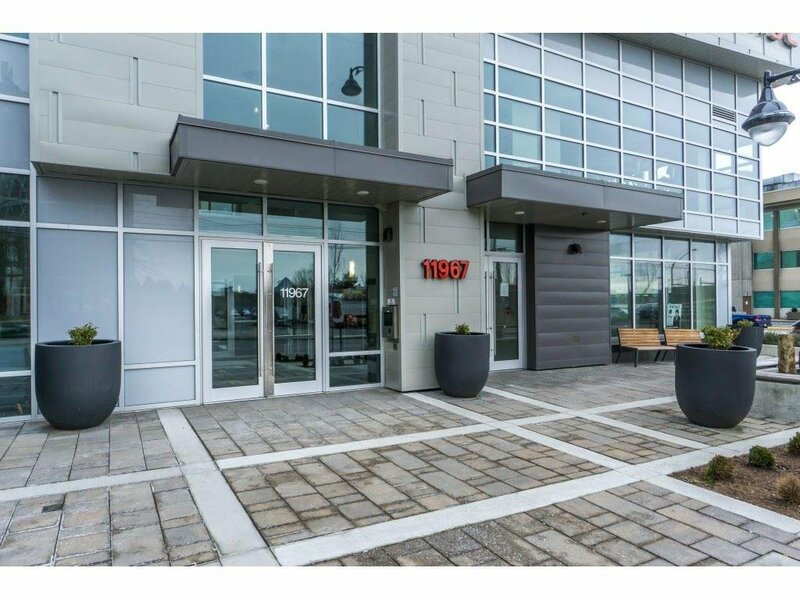 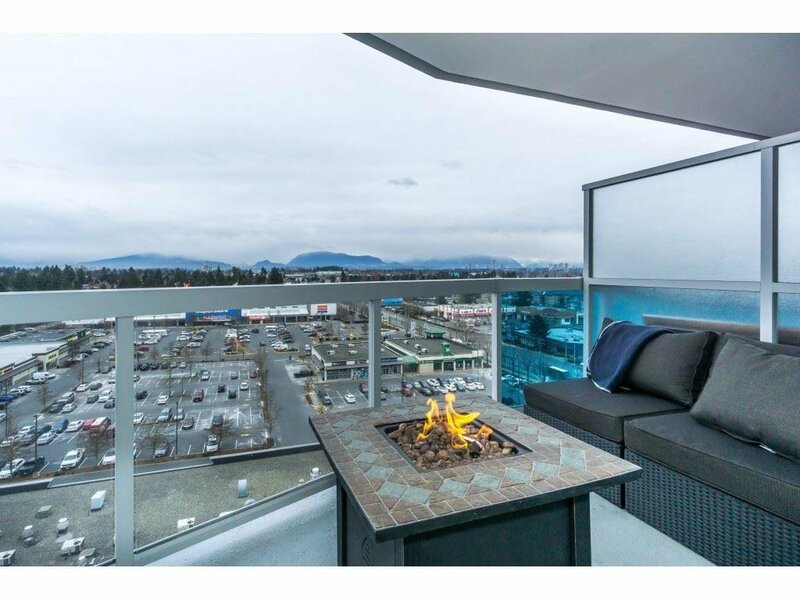 Floor to ceiling windows lead to spacious 20ft by 8ft patio large enough for BBQ, furniture set, & cozy fireplace with views of the mountains and city. 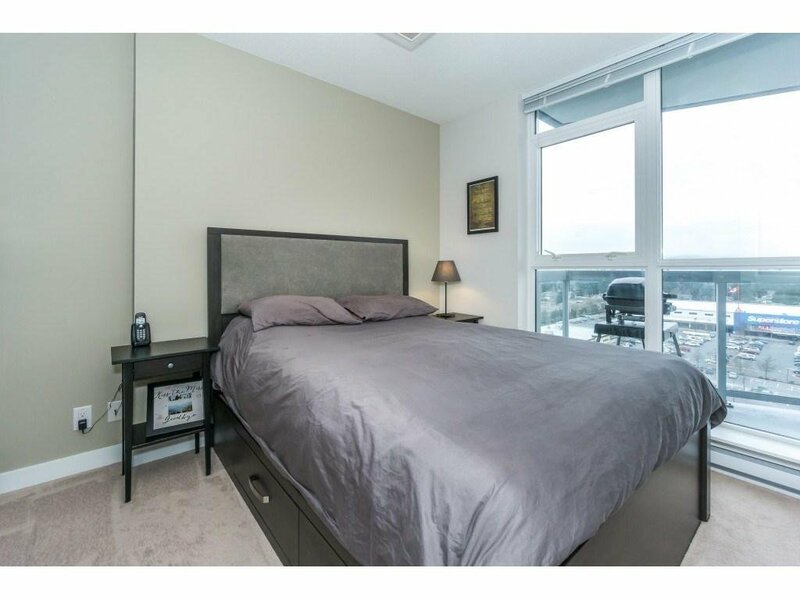 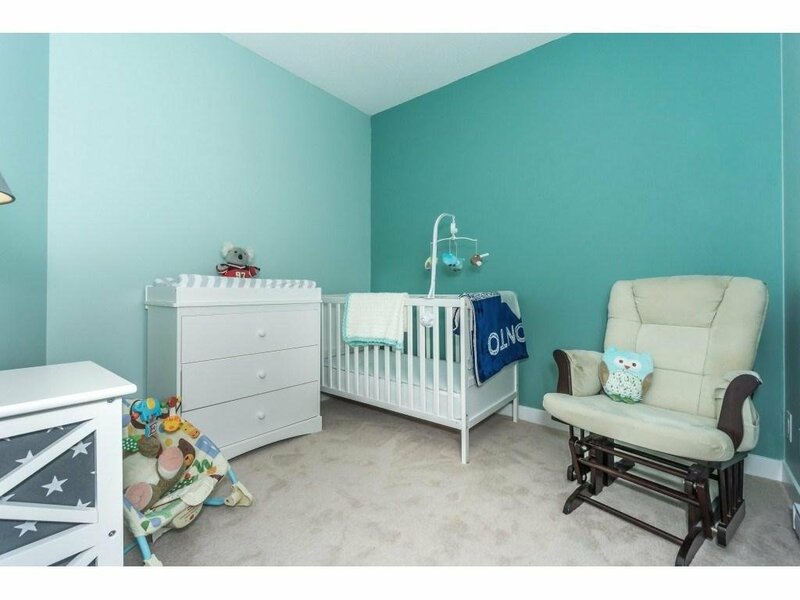 Master bedroom has built in storage, second bedroom can be easily used for den or flex room. 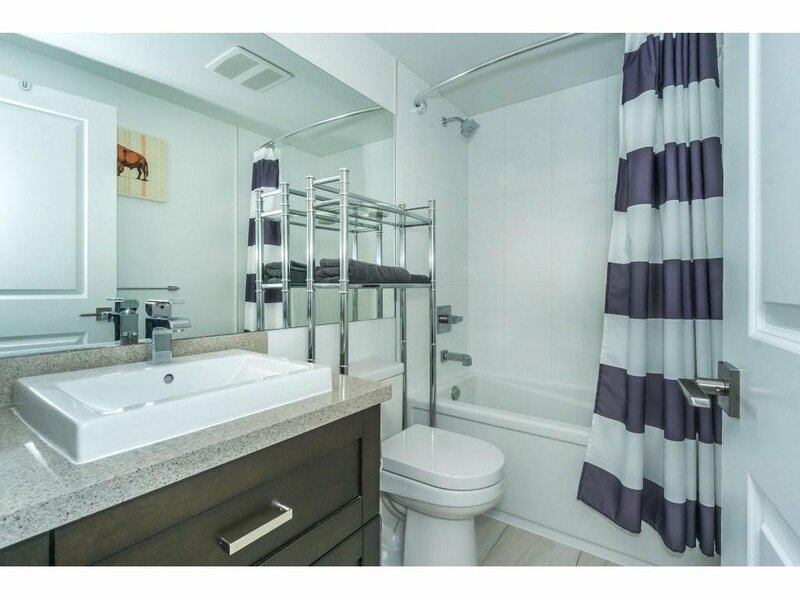 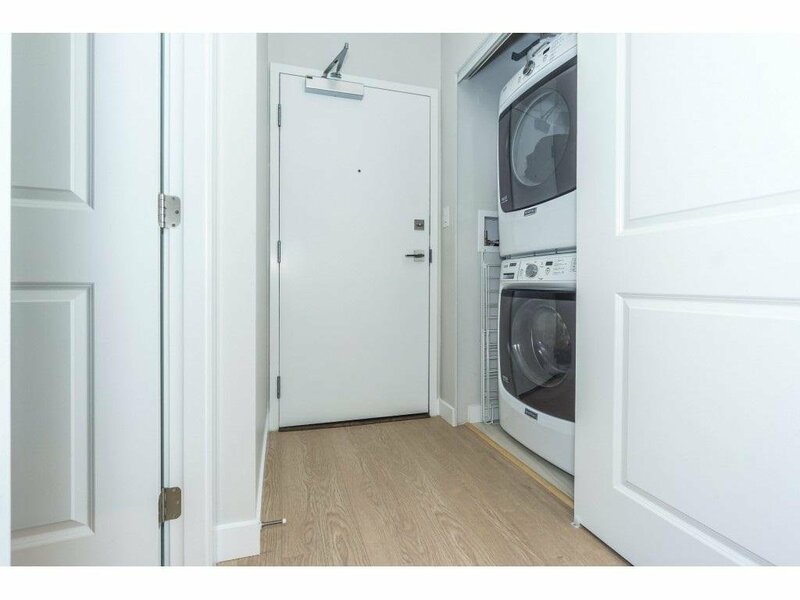 Unit comes with full sized laundry, 4 piece bathroom with soaker tub, 1 storage locker, and 2 covered parking. 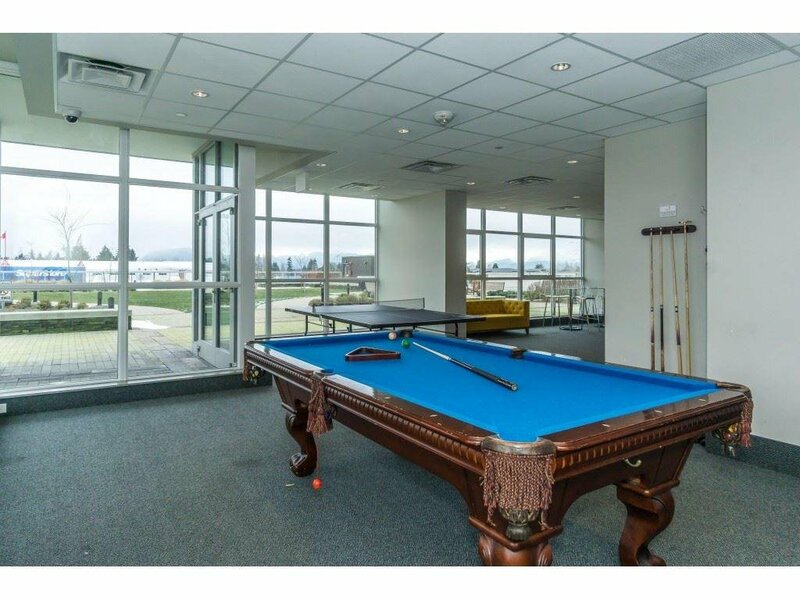 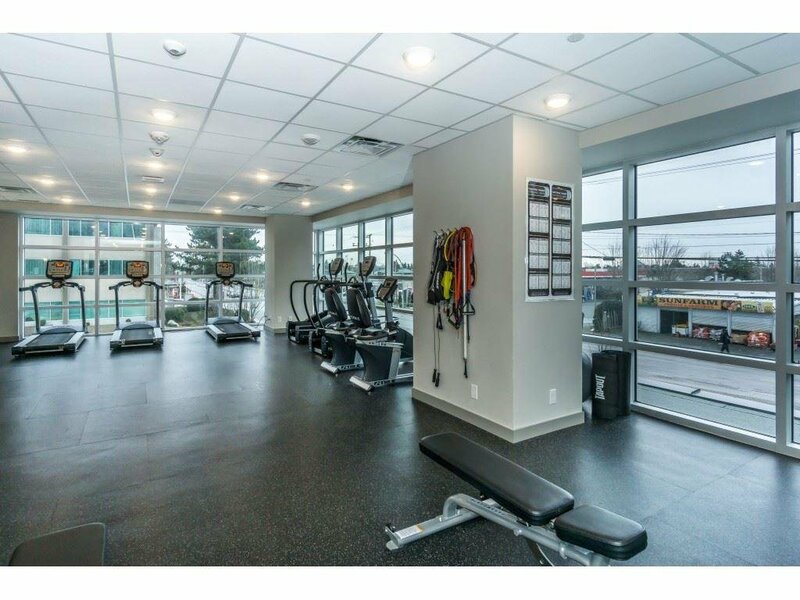 Amenities include gym, garden, playground, media room, clubhouse, and library. 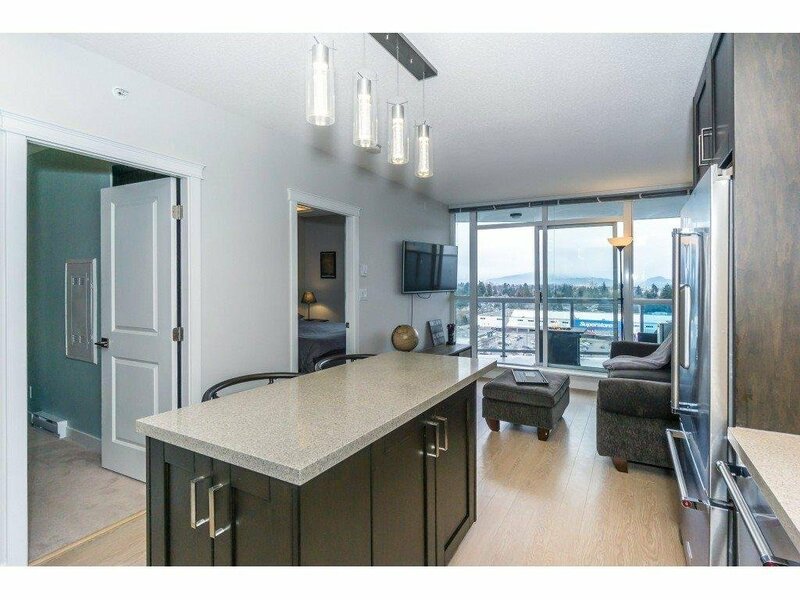 No rental restrictions!